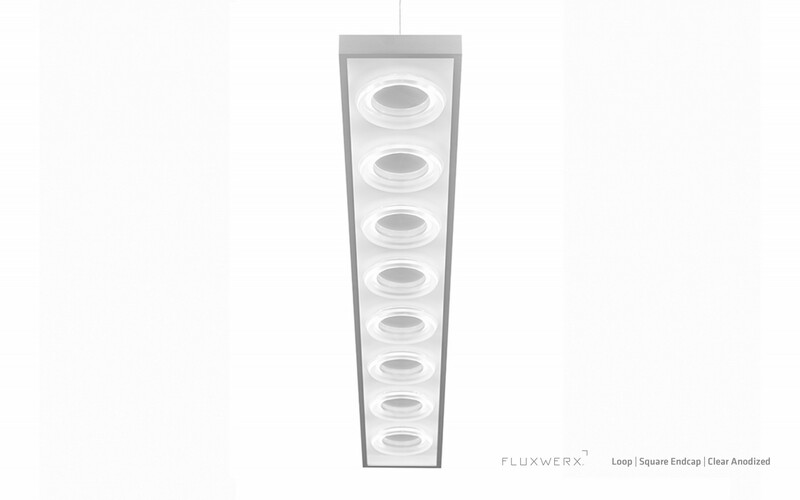 Fluxwerx announces the launch of Loop, a suite of linear suspended and recessed LED luminaires for retail, commercial, institutional and healthcare environments. 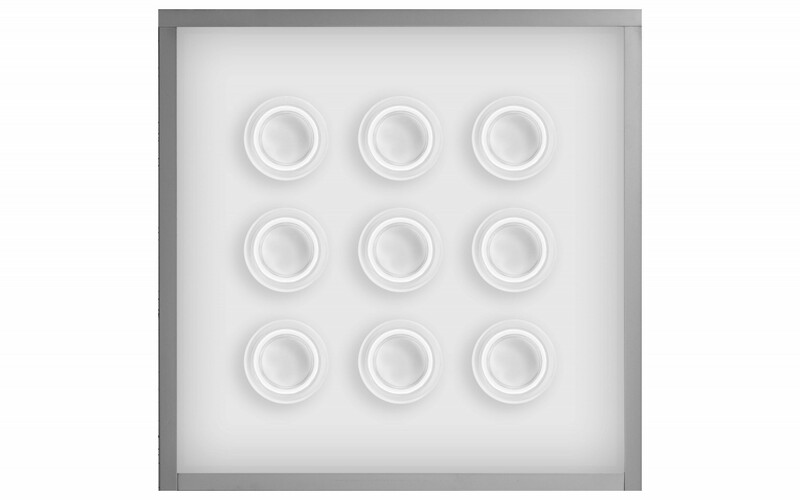 Featuring new proprietary Radial Anidolic optics technology, Loop delivers highly efficacious, precise, axially symmetric lighting distributions in a small scale, transparent circular optical lens for seamless integration with modern industrial design. 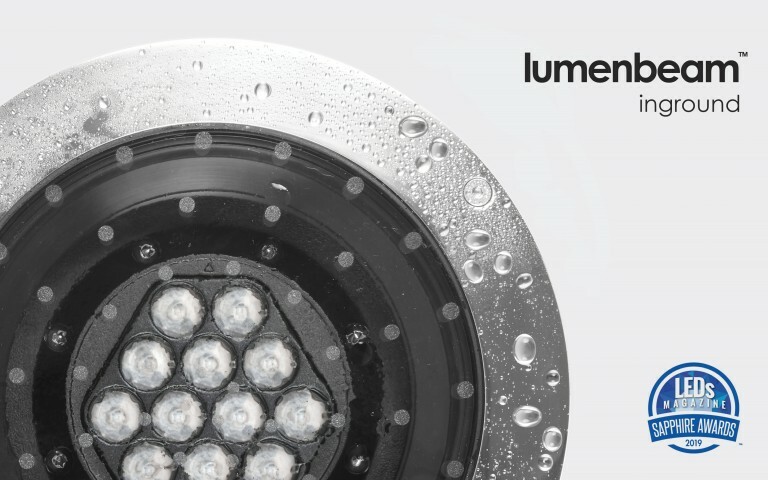 Available in both suspended and recessed configurations, these new luminaires combine minimalist design and architectural-grade materials with superior optical and energy performance, delivering a precise 360-degree symmetrical batwing distribution and efficacies up to 149 lm/W. "I am very excited to introduce Loop, not just as a new product family, but as an entirely new breakthrough in Anidolic Extraction optics," noted Reuben Bartlett, General Manager of Fluxwerx. 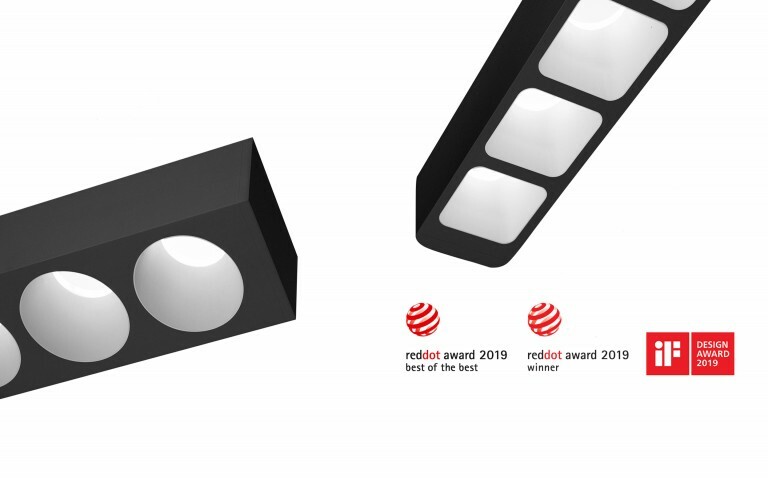 "Radial Anidolic optics introduces a new paradigm in product design with the ability to bend light around curves inside a small scale optic to produce previously unattainable aesthetic choices with excellent energy and lighting performance and exceptional visual comfort from all viewing angles." The initial stage of the optical technology mixes light as it rotates around the fully transparent Radial Anidolic element. The result is a floating ring of light with accurate and consistent color that losslessly eliminates any visible images of the intense LED point source. The light is then precisely and efficaciously extracted with exceptional optical control in a batwing distribution that is symmetrical on all planes around the horizontal axis. Loop Suspended delivers a minimalist form that merges optical technology and industrial design. 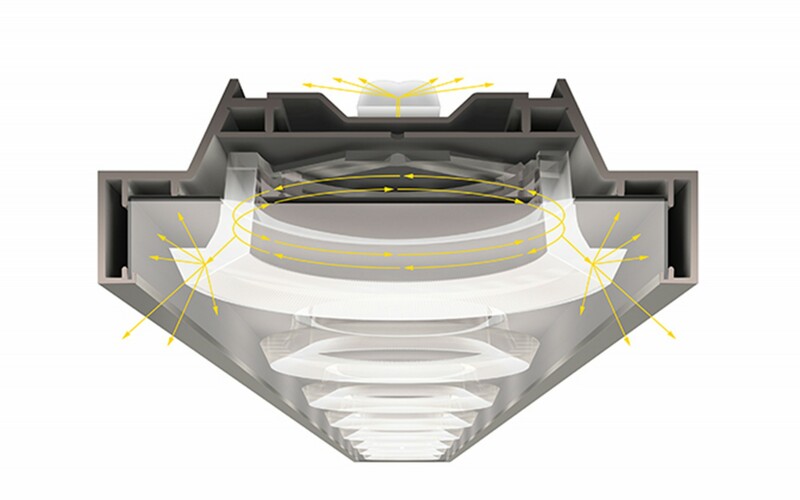 The luminaire utilizes Radial Anidolic optics to allow non-contiguous rows and increased end-to-end spacing, while delivering excellent uniformity, visual comfort and energy savings. A choice of various distribution options and ceiling integration features allows Loop to be used as a solution in various environments and conditions. 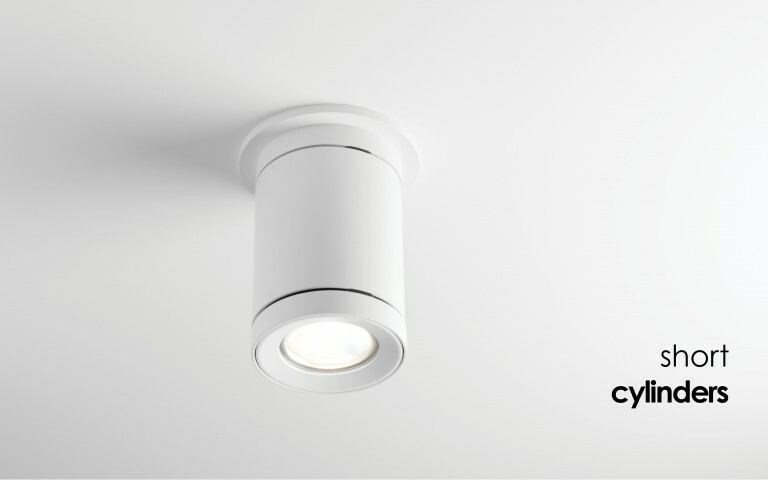 In addition, Loop is available with an independent up-down lighting control option that provides fully dimmable or switchable independent control of the upper and lower hemispherical distributions. Its anodized architectural grade extruded aluminum components are precision machined and factory installed for perfect fit. Requiring no electrical connections at fixture joints, Loop Suspended can be installed as an independent pendant or as a continuous lighting system with virtually seamless runs. Loop Recessed integrates multiple elements of shape and scale in a variety of sizes that can be mixed and matched with each other or with the suspended version to create visual interest. 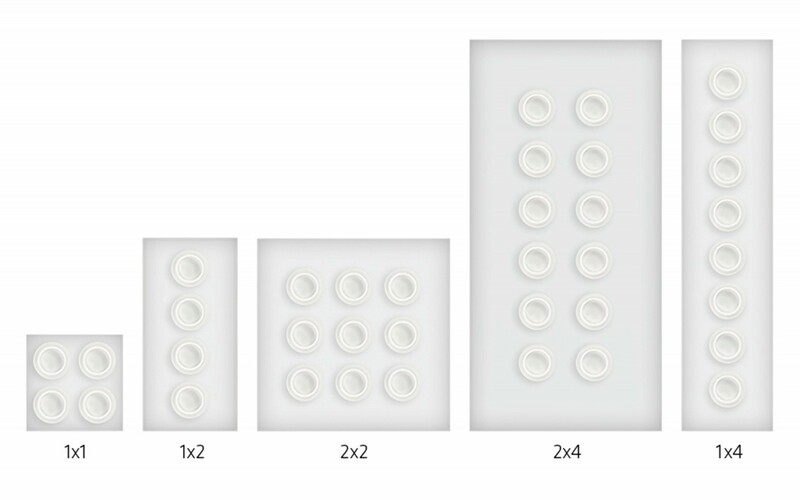 Available in 1x1, 1x2, 1x4, 2x2 and 2x2 recessed options with Radial Anidolic optics delivers 40fc on 10x12 spacing with an energy density of less than 0.33 W per square feet. 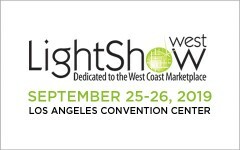 Loop maintains more than 90% of the initial light output for over 60,000 hours of operation. Color accuracy is within a 2-step MacAdam ellipse (< 2 SDCM) and available in multiple correlated color temperatures (CCT) with high R9 and color rendering values (CRI >80). 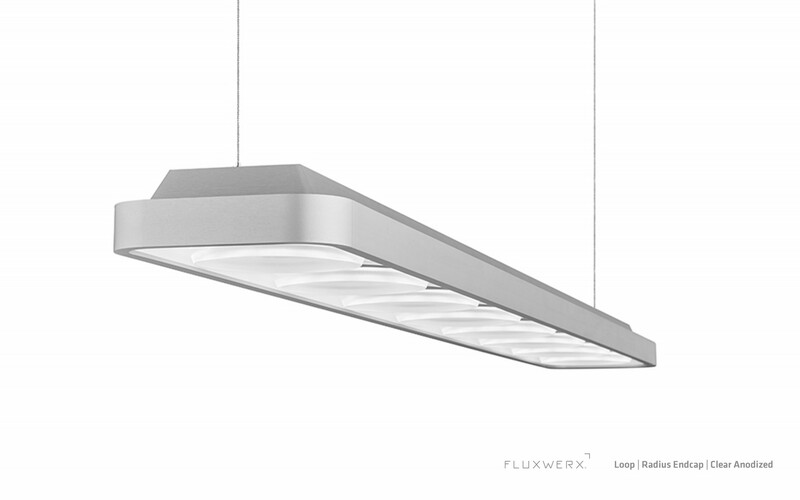 Fluxwerx is a manufacturer of innovative, high-performance, LED luminaires for the general lighting of commercial and institutional spaces, such as office, education and healthcare. 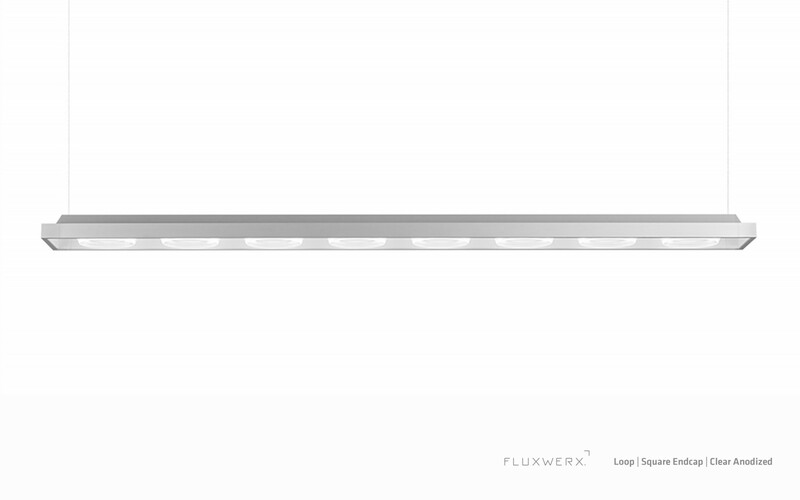 Founded in 2011, Fluxwerx has quickly established itself at the forefront of LED lighting technology, with a distinctive product offering and breakthrough proprietary Anidolic optics technology that delivers on the promise of LED technology for intersection of architecture and the human experience. 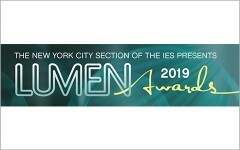 The company joined the Lumenpulse Group of companies in 2016.